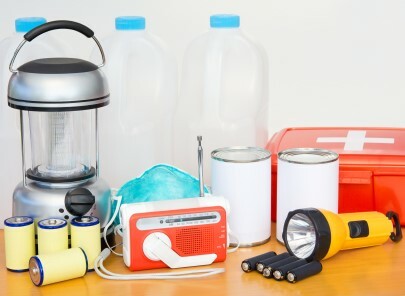 Due to Toronto’s frequent electrical black outs, it is important for your parents to have a seniors’ emergency kit to-hand to help them be comfortable and safe until power is restored or help arrives. 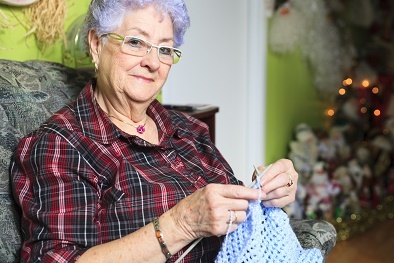 During an unexpected emergency, having an accessible kit at home can save a senior’s life. Family, neighbours and home care staff should should help prepare survival kits for seniors who live at home alone. Each kit should have enough supplies to help a person live for at least three days. Why Do People need a Seniors’ Emergency Kit in Their Homes? A great example can be taken from the Toronto “Ice Storm of 2013”. Power had already been out for over 24 hours, and homes without a wood-burning stove were getting very cold. It was dark by 5:00 p.m. and power wouldn’t be restored to many homes until after Boxing Day. We received a call at 9:00 p.m. on December 22nd from a client in East York – she was 96 years old at the time. She said “I’m getting very cold and I’m not sure how much more of this I can take.” We told her we would be right over. When we arrived, her house was down to 7C and she sat bundled in her recliner in the pitch dark. She hadn’t been to the bathroom since the afternoon because it was too dark for her to maneuver. We were able to assist her with her immediate needs and then get her over to a friend’s home that had power and heat. Power outages caused by winter storms, heavy winds, or flooding can affect access to clean running water, heat and electricity. Until normalcy is restored, people need to have adequate food, shelter, and water to survive. What is Typically Found in a Seniors’ Emergency Kit? 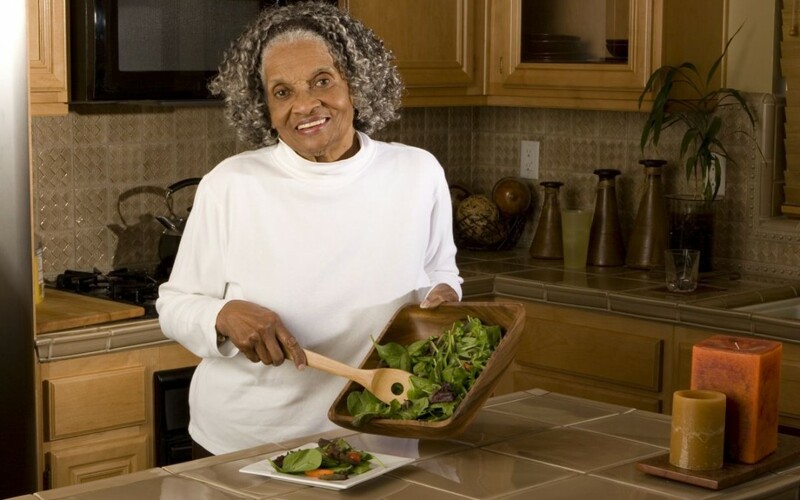 While the items in these kits may vary from person to person, the basics of a seniors’ emergency kit remain the same. Some items will vary depending on factors such as environment, terrain and climate. Listed below are the items that should be kept in survival kits. Each kit should contain at least a gallon of water per person per day. Either buy water bottles or fill up bottles themselves. Energy bars are a good food source. They are small, nutritious and have a long expiry date. Most people like to keep 6 to 8 bars in their kit. Canned foods are also a good option (add a can opener to the kit for less hassle during a power outage). A First Aid Kit is a “must have” item in a survival kit. Buying a kit from a store is a good start, however you may need to add to the kit extras such as allergy medication or anything your parents use from time to time (special creams), ensuring you have it during an emergency. A 36-hour emergency candle in case the power is out. Candles are essential for providing light of course, but they can also heat a very small space. Ensure a candle holder is in the kit if the candle needs one. A lighter and/or waterproof matches. We often supply our clients and staff with these headlamps from Canadian Tire. Headlamps are great because they shine automatically wherever you need to look, and they leave two hands free for grabbing railing, using a walker, or preparing food. Lanterns are also extremely helpful and comforting. We have used these long-lasting lanterns bought from Amazon.ca. Extra batteries are always a good idea. Incontinence briefs if you parents wear them. They will still be needed in the event of an emergency. A survival whistle. If your parents could not answer the door, blowing a whistle would alert a potential emergency responder that there are indeed people still in the house. A battery operated radio so that residents can keep up to date with emergency related news. A corded phone. Always have one plugged into the wall so that the phone works regardless of the state of electricity. Phone numbers or addresses of friends and family around the city. These people may pick up your parents and take them to their house if they have power. Food for a loved pet. Important cards and documents should be kept together in a known drawer or cabinet in your parents’ house, and returned there after being used or referenced. All family members should know where the documents are kept. It may be good to buy a waterproof case so that the documents can be stored for protection or scooped up in the event of an evacuation. These documents could be difficult to replace in the future. Some examples include OHIP, birth certificates, driver’s licences, passports and irreplaceable photographs. Having ID and cash could go a long way in the event of an emergency. It is important to be aware that evacuees may not have access to their wallet and/or purse and ready cash would be essential. Everyone has different ideas about what should be included in a survival kit. What may work for one person may not be convenient for another. Due to this, the personal needs of the senior should be considered when putting together a kit. Those who are unsure of which items to include and which items to leave out should consult their local emergency preparedness resource. That being said, every survival kit should contain an adequate supply of water and food. Ideally, there should be enough supplies to last until the emergency is over. Due to mobility limitations, seniors are more nervous about emergency preparedness than their adult children. Putting together a kit and a plan may reduce your parents’ anxiety over how they can help themselves. Tips from Home Care Toronto!